Micro Analog Systems Oy today announced MAS6279, a miniature VCTCXO IC primarily intended for the most stable TCXO and VCTCXO modules. The device uses fully analog compensation method making it possible to achieve +/-0.14 ppm or better frequency stability. Because of its small size the reduction of module size is possible. MAS6279 has typical power consumption only 1.3 mA. Low phase noise of -136 dBc/Hz at 1 kHz allows the use of the MAS6279 in demanding applications. The frequency stability against load or supply voltage changes is excellent. It has programmable divider function allowing the output frequency range of 5 MHz to 64 MHz. Output wave form can be selected from sine wave or CMOS. 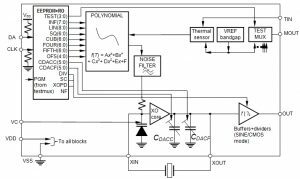 Oscillator frequency output selectable by EEPROM direct or fc/2. Output waveform selectable by EEPROM: clipped sine wave or CMOS. 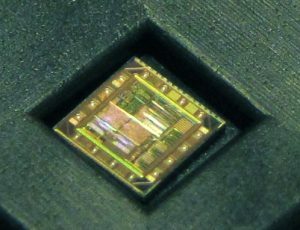 MAS6279 is delivered as die or in small QFN-10 3 x 3 package. Volume production has already started and samples are available. Price for 1000 pcs is USD 2.73 each, Ex works Micro Analog Systems Oy, Finland. Founded in 1984, Micro Analog Systems Oy is a privately owned fabless semiconductor house located in Helsinki, Finland. MAS supplies Application Specific Standard Parts and ASICs for worldwide customer base. MAS current product portfolio consists of time signal receiver ICs, crystal oscillator ICs and AD converters for sensor applications as well as of other high performance analog ICs. Micro Analog Systems Oy introduces MAS6512, a 16 Bit Capacitive Sensor Signal Interface IC primarily intended for MEMS based pressure sensor modules. The device uses a ratiometric AD-converter principle employing a delta-sigma conversion technique, giving very good noise performance. Its current consumption is extremely low (1.9 µA) and it can operate at low supply voltage from 1.8 V to 3.6 V which makes it an ideal solution for interfacing a capacitive sensor in power consumption critical portable applications. The resolutionof the ADC is 14-bits. The over sampling ratio (OSR) of the Delta-Sigma converter has five values to choose from for further optimization between conversion accuracy, speed and current consumption. MAS6512 capacitive sensor interface IC can interface both single and dual capacitance sensors. It has internal temperature sensor for temperature measurement and temperature compensation purposes. The MAS6512 communicates via a standard 2-wire I2C and 4-wire SPI bus interface. MAS6512 is available in a QFN-16 4x4x0.75 package as well as tested wafers or dies in waffle pack. For further information and samples please contact Micro Analog Systems Oy. Micro Analog Systems Oy today announced the new MAS6116 evaluation board, EB6116AA1. 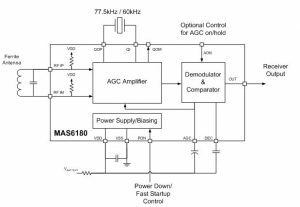 MAS6116 is a stereo volume control IC for high-end audio systems. The capability to work with signal levels up to +/-18V and the extremely low THD, 0.0002% in balanced configuration, makes it very useful in high performance audio systems where the volume is controlled in the analog domain for best performance. 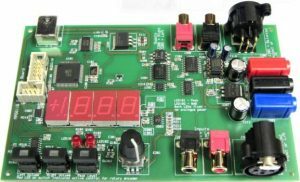 With the MAS6116 evaluation board it’s possible to evaluate the MAS6116 digital potentiometer with either balanced mono or single ended stereo signals. It has the facilities to be controlled either via USB by a program under Linux, Windows or OS X, or via controls on the board itself. Micro Analog Systems Oy today announced the availability of the EB6180B1COB module for Time Code Reception (RCC). 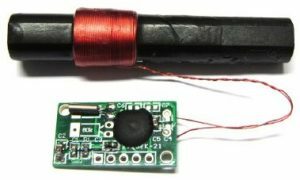 The new tiny time signal receiver module comprises of a ferrite antenna and a small PCB that includes a MAS6180B1 AM receiver IC accompanied with necessary filter crystal and capacitor components. 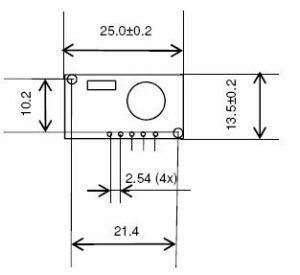 The MAS6180B1 AM receiver IC converts the time code signal into series of digital pulses which can be directly processed by an appropriate digital circuitry such as micro controller unit (MCU). From the signal both time, date and daylight saving information can be retrieved. The use of a ready made module gives our customers a cost effective solution with an optimized RF design. The included tuned ferrite antenna increases the value of this module even further. Different versions are available for the 77.5 kHz German DCF77 time signal and the 60 kHz US WWVB, British MSF and Japanese JJY60. 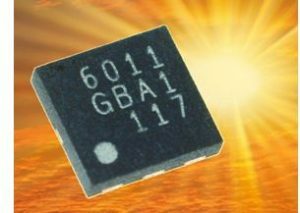 The EB6180B1COB modules are available with an MOQ of 100 modules. Other antenna sizes can be arranged. For further information and samples please contact Micro Analog Systems Oy. Micro Analog Systems Oy today announced the MAS6011 Solar Cell Energy Harvesting System Manager. 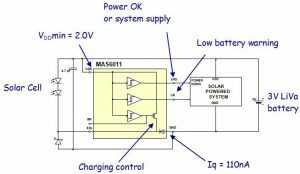 MAS6011 monitors the supply voltage and charging of a battery-powered system containing a small solar cell. The current consumption of this IC is extremely low, 110 nA, which means the system can charge from very low light conditions and also stay in power down mode for years and still operate directly from the battery before recharging. To be able to charge a battery also in conditions with very limited light, a large solar cell is usually used. This can on the other hand easily destroy the battery due to over voltage during strong sun light. MAS6011 solves this dilemma and will give secure protection of a secondary 3V battery over a big range of light strengths (lx). The switching levels have been designed for usage with rechargeable 3V Lithium Vanadium (VL-type) batteries. Those batteries are compact, button-shaped, secondary batteries with very high energy compared to more traditional batteries. The self discharge rate is less than 2% a year which makes them very useful as a power source in systems that might be stored for a long time without re-charging. 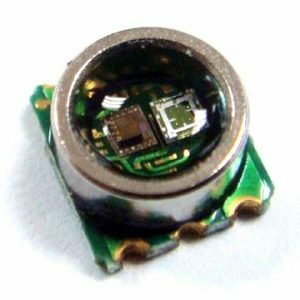 Possible applications for MAS6011 include Wireless Sensor Modules, GPS Modules, Electronic locks, Watches, Energy Harvesting etc. MAS6011 is available in a 6 pin QFN 3x3x0.75mm package and dies on tray. For further information and samples please contact Micro Analog Systems Oy. Micro Analog Systems Oy introduces MAS6502, a 16-bit Piezoresistive Sensor Signal Interface IC primarily intended for MEMS based pressure sensor modules. The device uses a ratiometric AD-converter principle employing a delta-sigma conversion technique, giving very good noise performance. Its current consumption is extremely low (2.3 µA) and it can operate at low supply voltage from 2.0 V to 3.6 V which makes it an ideal solution for interfacing a piezo-resistive sensor in power consumption critical portable applications. The effective number of bits (ENOB) of the ADC is 14-bits. The over sampling ratio (OSR) of the Delta-Sigma converter has four values to choose from for further optimization between conversion accuracy, speed and current consumption. The external sensor bridge can be used to sense not only pressure but also temperature, using the built-in sensor sampling switches. The MAS6502 communicates via a standard 2-wire I2C serial bus interface. Micro Analog Systems Oy now offers the possibility to subscribe to Data Sheet and Product Change Notification updates. “Please send us an email telling us which parts you are interested in and your contact information and we will add you to our data base and send you the requested information whenever a new version is available” says Jan Gripsborn, VP Sales & Marketing at MAS. Micro Analog Systems Oy today announced the opening of a sales office, Micro Analog Systems Ltd. in Hong Kong. The sales office will support customers in the Hong Kong and China markets. The new company has already appointed Mr. Ricky Law as Marketing Director, Ricky will bring with him more than 12 years of experience from the semiconductor market and has a thorough knowledge about the MAS high performance analog semiconductors. MAS HK Ltd. Will have a local stock for all the MAS products to ensure fast and reliable deliveries to customers. MAS HK Ltd will also employ local sales engineers to give technical support for customers in China. MAS – High performance analog semiconductors Founded in 1984, Micro Analog Systems Oy is a privately owned fabless semiconductor house located in Helsinki, Finland. MAS supplies Application Specific Standard Parts and ASICs for a worldwide customer base. 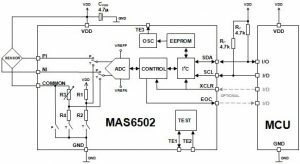 MAS current standard product portfolio consists of time signal receiver ICs, crystal oscillator ICs and AD converters for sensor applications as well as of other high performance analog ICs.